“THIS IS UGG” is a multi-media, cross-channel campaign presented primarily in black-and-white that features real moments with real people captured in personal settings that celebrate the small moments that mean the most to them. For example, sketch-artist Langley Fox, Ernest Hemingway’s great–great–granddaughter, is featured in her own Los Angeles home working on an illustration project, and later spending time with her best friends; Tom Brady, who typically appears in UGG campaigns crafted specifically for him, will be integrated into “THIS IS UGG,” in moments together with his mother and father; and California architect Harry Gesner with his son and grandsons who share a lifelong love of the ocean, surf the Malibu coast in a nod to UGG’s surfing roots. UGG Australia has built a reputation on luxury and comfort by using only the finest materials in the world, employing the highest standards of craftsmanship and delivering new and innovative styles well beyond the original sheepskin boots and slippers. 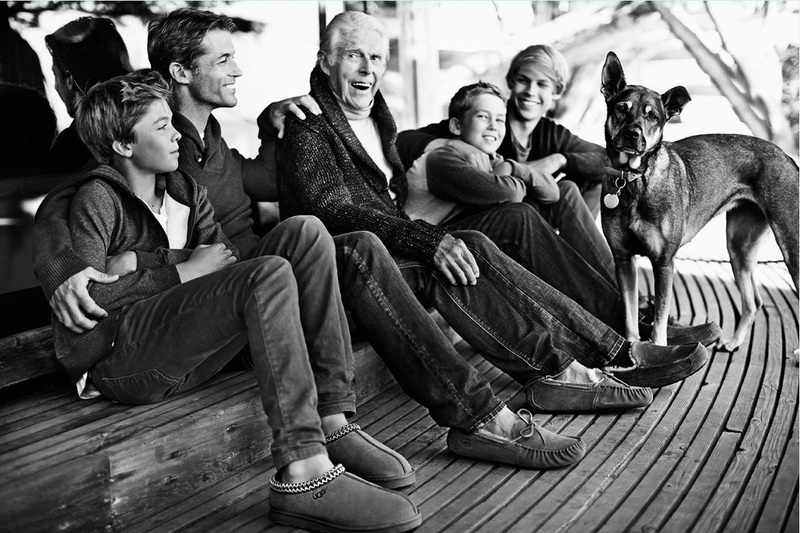 UGG Australia is recognized as a premium lifestyle brand that offers footwear, apparel, outerwear, accessories and handbags and has grown to over $1 billion in sales. UGG Australia concept stores offer the ultimate brand experience with over 70 stores worldwide including New York, Chicago, San Francisco, Los Angeles, Miami, London, Tokyo, Shanghai, Beijing and Moscow. UGG Australia operates on several social media platforms including Twitter, Vine, Pinterest, in addition to a branded blog entitled Plush Hour. In 2012 the brand exceeded two million fans on Facebook. Every genuine UGG product is linked together by the unforgettable sheepskin experience, and a feeling that is truly like nothing else. Deckers Outdoor Corporation is a global leader in designing, marketing and distributing innovative footwear, apparel and accessories developed for both everyday casual lifestyle use and high performance activities. The Company’s portfolio of brands includes UGG®, I HEART UGG®, Teva®, Sanuk®, TSUBO®, Ahnu®, MOZO®, and HOKA ONE ONE®. Deckers Outdoor products are sold in more than 50 countries and territories through select department and specialty stores, 126 Company-owned and operated retail stores, and select online stores, including Company-owned websites. Deckers Outdoor has a 40-year history of building niche footwear brands into lifestyle market leaders attracting millions of loyal consumers globally. For more information, please visit www.deckers.com.